If you break your dentures, it can be a stressful time. That’s why we offer same-day denture repairs while you wait. The shape of our gums regularly changes, so if you wear dentures it is likely that you will need a regular reline to ensure that they continue to fit correctly in your mouth. If you have limited suction on your top denture, or find that food is getting stuck under your lower denture, it is likely that you need a reline to improve retention and stability. We recommend coming in to Crown Dental Group so we can check your dentures every two years to ensure they are still right for you. If you have had tooth extractions and wear an immediate denture, you will generally need a reline in the first six months once your gums have healed. At Crown Dental Group, we can restore the fit of your denture by putting an inner lining into your denture. We can either do an acrylic (hard) reline, which is more durable, or a soft reline using soft reline material which is more comfortable and can last up to two years. At Crown Dental Group, you can rest assured that your dentures will be made from the highest quality resilient materials. Dentures, however, do not respond well to being dropped onto hard surfaces and will likely break. We offer same-day denture relines and repairs for appointments booked before midday. 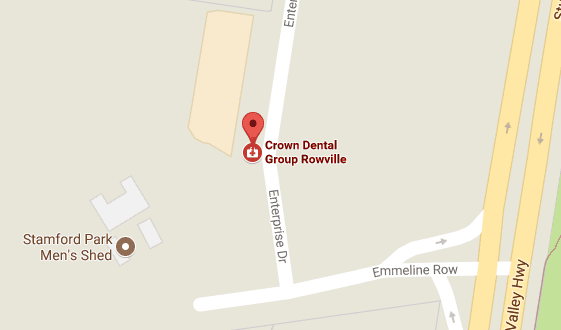 Contact Crown Dental Group to book in for a free denture consultation to discuss the right solution for you. Restore your perfect smile today – contact us on (03) 8288 1477.